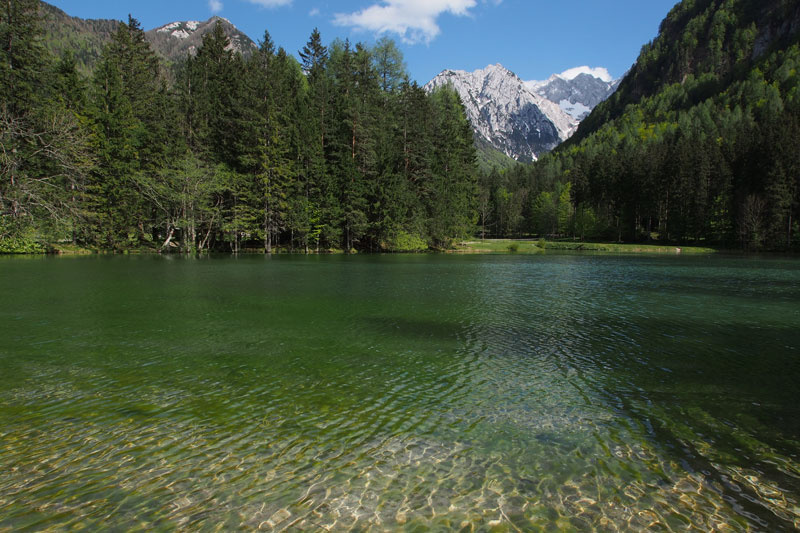 The little heart-shaped lake was made by local inhabitants in memory of a larger glacial lake that had drained away, and after which Jezersko got its name. It is a well-visited spot and one could call it also a symbol of the area. In summer, it allows boating, in winter skating. At the same time, it gives you a chance to enjoy tasty local food at the restaurant by the lake all year round. Access: On the main road to Jezerski vrh turn right at the sign for Planšarsko jezero.